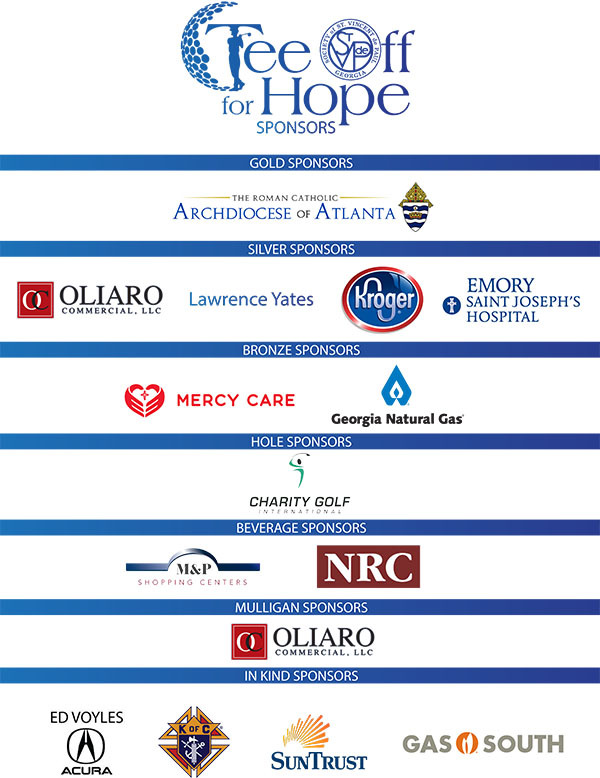 We are excited to invite you to the 11th annual Tee Off for Hope Golf Tournament, scheduled for April 29, 2019 at The Standard Club in Johns Creek. This fundraising event will once again bring everyone together to benefit The Society of St Vincent de Paul's mission of providing hope and help to families and individuals in need. This is a great opportunity to fellowship and network with likeminded supporters and community leaders alike. The funds raised are used to sustain and grow our essential community program which transform lives throughout the state of Georgia. We welcome you to participate as an individual player, by signing up a foursome, or by recruiting businesses to participate as sponsors. Register below or Click Here to view the TOFH Sponsorship Opportunities Packet. You have successfully registered for Tee off for Hope 2018! On behalf of our entire organization, thank you for your support, and we look forward to seeing you at the event!